As fans we’ve been hanging on by our fingernails until training camp begins, and the wait is just about over. The players report to camp on Thursday and public practices begin the following week. The long drought is almost over. As a result, I’m going to end this series, at least until next off-season. And even then it will probably be a sporadic feature, as I’ve used up a great deal of the supply of NFL players involved in any sort of rigorous fashion with music. I suppose I should have saved the Renegade post for this week, but that ship has sailed. Instead I will leave you with one final music post, featuring—a Baltimore Raven. We’re getting tantalizingly close to the end of the seemingly endless off-season, so in the next two weeks I’ll be wrapping some musical things up. This is as opposed to “rapping” things up, such as throwing out one’s suggested contract amount via a mixtape, as Le’Veon Bell seems to have recently done. Since it is clearly time to start getting ourselves worked up for the coming season, what better musical way than a hand-picked selection of “Renegade” videos, combined with a few entirely ignorable facts? 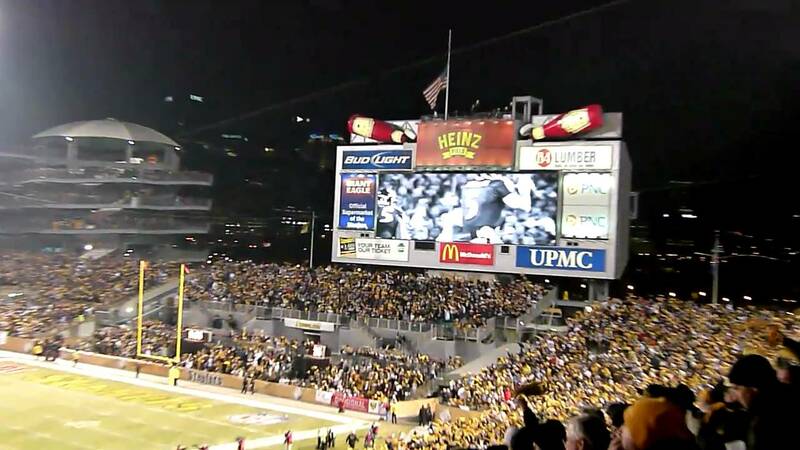 As anyone who has been a fan of the Steelers for more than about 15 minutes and who has gone to at least one home game knows, the playing of “Renegade” to accompany a montage of defensive highlights is a beloved tradition used to pump up the crowd (and perhaps also the defense) when a stop is badly needed. It is a tradition going back centuries decades about 15 years. The song itself is much older than that. It was written ine 1978 by Styx guitarist Tommy Shaw, but according to the Wilkipedia article fellow guitarist James Young asked to take the solo on it, although each player usually soloed on their own compositions. It was a hit, and remains Styx’s most recognized song. They finish every show with it. The “Blue Room,” while honoring the history of Kansas City jazz with several exhibitions in it, also serves as an active club to this day. Inside of it, next to a stage, sits a piano. Ford, of course, couldn’t resist. As has been well documented, one of Ford’s favorite off-the-field activities is playing piano, which he believes has multiple benefits. I’ve discussed during this series how impossible it is to excel at both football and music simultaneously. Generally speaking, the music produced by active players confirms this. But the short video of Ford playing which accompanied the article intrigued me, and I decided to check him out. But I prefer to end on a positive note, so here are some performances I think are notable for musical interest. This is a continuation of what has turned into a mini-series chronicling the checkered history of performances of the National Anthem at the Super Bowl. Since I am a choral person, today I’m featuring choral performances, or what pass for them, at the Super Bowl. Other than the military choruses whose performances I included in this post last week, there haven’t been that many performances featuring a choir. There were more in the early years. In fact, Super Bowl I combined not one but two marching bands and the UCLA Choir. I can’t find a video of that one, but I presume it was at least competent. Last week I delved into the murky waters of Super Bowl performances of the National Anthem. It turned out to be rather fascinating, at least to me, and I was amazed at how many of the past performances are available via YouTube. 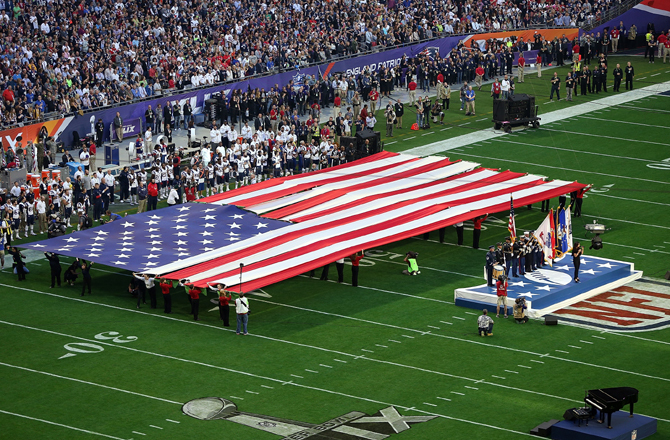 The National Anthem has been performed at every single Super Bowl except one—Super Bowl XI. Vicki Carr sang “America the Beautiful” instead. One thing which has changed over the years is, sadly, audience participation. The National Anthem was never intended to be a showpiece, despite the title “anthem,” which people tend to think of as something other people sing, unless they themselves are in the choir.